The parties continue out here at CES 2012 we were invited to the Visual Pron Party that gave us an awesome evening of visuals and entertainment. 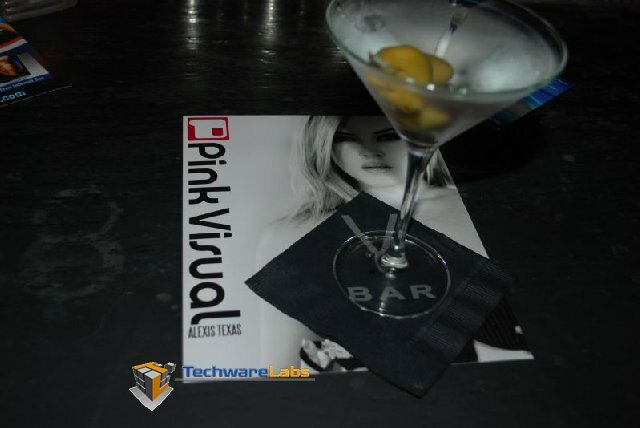 The party was held at the V Bar in the Venetian and co-hosted by Pink Visual and AEBN RealTouch. With guest stars of Alexis Texas, Lexi Belle and Kirsten Price signing autographs and posing for pictures the party was full of visuals we won’t soon forget. 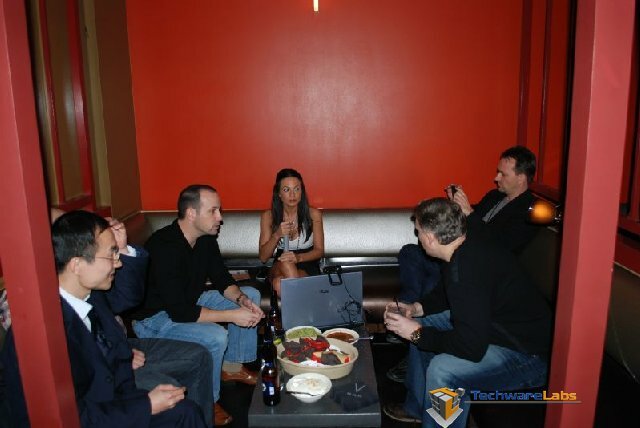 The sponsor of the party RealTouch Networks was showing off their product “RealTouch Device” which was not just on display but also interactive (via touch of your fingers that is). The “RealTouch Device” works with a library list of movies that send commands to the device. The latest feature that was demoed at the VisualPron Party was a new online connection to a person who can remotely control your RealTouch Device through what we were told is a virtual date. RealTouch Device and one of the models showing off some visual pron. The controller which the virtual date will have to “remote control” your RealTouch device. The food and drink lead to great conversation with the three highly personable young ladies, Alexis Texas, Lexi Belle and Kirsten Price, kept our attention and autographed a few self portraits for us to give to some friends who just couldn’t make it to the party.